Any lingering doubt as to the literary stature of James Agee (1909-1955) should be dispelled later this year when the prestigious Library of America publishes two volumes devoted to the writer&#146;s work, which includes screenplays, film criticism, a Pulitzer Prize-winning novel (A Death in the Family), and a masterpiece of New Journalism years ahead of its time (Let Us Now Praise Famous Men). As a warm-up, Agee aficionados and cinema buffs can feast on John Wranovics&#146;s Chaplin and Agee: The Untold Story of the Tramp, the Writer, and the Lost Screenplay, a marvelous new book that brings to light a previously unpublished (and largely unknown) 80-page film treatment that Agee wrote in the aftermath of the Hiroshima bombing with the hope of convincing Charles Chaplin to direct and star in the project. Wranovics&#146;s extensive introductory chapters provide a trove of historical and biographical context, mixing established sources with a good deal of fresh archival material. Particularly illuminating is an examination of the rough-draft notes for Agee&#146;s overly enthusiastic review in The Nation of Chaplin&#146;s 1947 box-office failure Monsieur Verdoux. A black comedy with political overtones in which the comedian plays a serial wife-murderer, the controversial film has had few wholehearted defenders over the years. 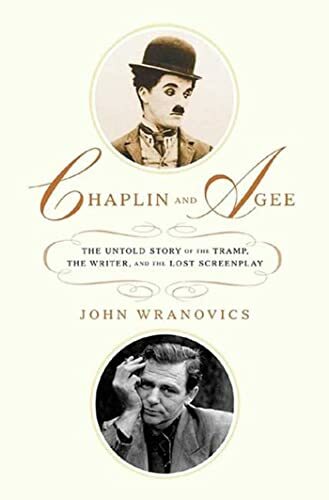 Agee&#146;s uncompromising reverence for Chaplin, however, was a blind spot. Wranovics quotes the writer&#146;s friend and fellow film critic Dwight MacDonald: &#147;I suspect that Agee&#146;s response is an example of his chief weakness as a critic: his directorial imagination which sometimes remade the movie inside his head as he watched it, so that what came out on his page was often more exciting than what had appeared on the screen.&#148; On the other hand, Agee had studied Chaplin&#146;s work so assiduously over the years that the screenplay he wrote for the Tramp character is filled with uncanny simulacrums of Chaplin&#146;s pantomime style and gag construction.